The premium crossover market is well and truly booming at the moment. Even before Jaguar jumped into the fray , we already had the likes of Audi, BMW, Lexus, Infiniti, Volvo and countless others fighting away in this sector. 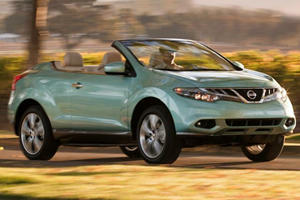 As a result, Nissan’s take on this type of car, the Murano, combines that upmarket image with a more mainstream pricetag. However, that also puts the Murano right in the firing line of some truly great crossovers – so, can the Nissan survive this war it’s fighting on two fronts? We’re especially impressed with the touchscreen infotainment display. One of the most important aspects about a crossover with premium intentions is to have a very swish cabin – and we’re very glad to report that the Nissan Murano gets top marks in this regard. Though it’s admittedly not as premium feeling as, say, a , it is more than enough to rival the likes of the Volkswagen Touareg in terms of outright fit and finish. It’s also a very pleasant interior to look at and interact with. The swoopy curves and contoured trim pieces give the Nissan Murano’s cabin a look that’s rather reminiscent of a contemporary Infiniti (which shouldn’t be surprising, as Infiniti is Nissan’s luxury off-shoot brand...), and all the main controls are laid out cleanly and simple to operate on the fly. We’re especially impressed with the touchscreen infotainment display, which is clear to read, easy to navigate and responds quickly to inputs. What will perhaps be a bit harder to live with on a day-to-day basis is the trunk capacity. Despite the swoopy styling (well, swoopy by crossover standards), overall head and leg room isn’t too bad. Though the optional panoramic sunroof does eat into the head room, all but the tallest of drivers and passengers will be well accommodated in the front and back seats, with a similar case being argued for the leg room. It’s not brilliant by class standards, but the Nissan Murano is commodious and comfortable enough to regularly ferry about adults on your average drive. What will perhaps be a bit harder to live with on a day-to-day basis is the trunk capacity. Sure, at 30 cubic feet, it’s not exactly titchy (a Kia Sorento’s is ), but it’s worth pointing out that the Nisssan Murano is well and truly topped in this regard by the 39 cubic feet load space in the . You do get 60:40 split-folding rear seats that flip forward completely flat if you do need more luggage space, though, and we’d like to stress the fact the Murano’s trunk is a usefully boxy shape, in spite of the car’s more avant-garde exterior styling. It’s a very pleasant crossover that will especially appeal to buyers who prefer a more comfort-oriented driving experience. Setting up the suspension on a large crossover vehicle is a very hard thing to get right. On the one hand, you need to ensure the setup is firm enough to stop the car from rolling about in the corners and never truly settling after bumps; on the other, it can’t be too firm or else the crossover will be fidgeting over the smaller imperfections and generally be really uncomfortable on longer journeys. Long story short, it’s no wonder that not every car of this ilk gets that balance 100% right – and the Nissan Murano falls into that category. Don’t muddle this up with us decreeing the Murano to be a horrible car to drive, however: in many ways, we feel it’s a very pleasant crossover that will especially appeal to buyers who prefer a more comfort-oriented driving experience. Such a focus on comfort has come at the expense of a precise drive. The ride quality, for example, is very well judged over rougher road surfaces (though the Nissan does squirm around a bit over more rutted sections of asphalt on the optional 20inch wheels), yet also does a good job at controlling the car’s body movement and lean in the corners. Furthermore, this comfort quality is further enhanced by the excellent ‘Zero Gravity’ front seats, which we feel are the most cushioned and supportive seats you can find on any crossover this side of a Lexus NX. Such a focus on comfort has come at the expense of a precise drive, though, with the steering response being perhaps our biggest issue with the car – a Hyundai Santa Fe, for instance, is easier to place on the road precisely. That said, the slower steering in conjunction with the good high-speed ride quality and very well suppressed wind and tire roar means the Nissan Murano is very well suited to life lolloping up and down the highway. Even here, though, there are problems, with rearward visibility being the biggest issue we have outside of the steering response. Though large wing mirrors and a standard-fit reversing camera do alleviate our concerns a little bit, the small-by-crossover-standards rear window and chunky rear pillars means it’s not especially easy to judge where everything is directly behind the car. As expected from an engine of this size, power and torque outputs are fairly good. In a world where car manufacturers forever appear to be shoehorning ever-smaller engines into their cars, it’s refreshing to see that Nissan is staying put with an engine type that’s been featured in every generation of Murano: a 3.5-liter six-cylinder gasoline engine. As expected from an engine of this size, power and torque outputs are fairly good. Nissan claims 260hp and 240lb/ft of the stuff respectively are on tap, though the end result is a bit more complicated than that. You see, both of those peak outputs are fairly high up in the car’s rev range, so you don’t get the low-down push you’ll find in comparable cars with smaller, turbocharged engines – like the ones you’ll find in more mainstream rivals like the . Having such a big engine does hinder fuel economy a tad, in comparison with more efficient rivals – Nissan claims mpg figures for the Murano of 21 in the city and 28 on the highway, which are okay for the class standard. It’s worth pointing out, though, that the Murano is actually quite a bit more efficient than like-for-like six-cylinder competitors, with Volkswagen claiming just 17mpg in the city for the V6-powered Touareg. Our only criticism with this transmission, in fact, is that Nissan hasn’t fitted shifter paddles behind the steering wheel for drivers to ‘change gear’ with. We’d also like to stress that the six-cylinder engine in the Nissan Murano is a very smooth and refined engine, with a very linear delivery of power and torque and a hushed nature at cruising speeds. Plus, the gasoline motor works beautifully well with the continuously variable transmission, or CVT, which also operates rather silently by the standards of automatic transmissions like this (CVTs use a system of belts and pulleys, instead of the ‘gears’ found in conventional transmissions). A good part of this has been the way Nissan has engineered the Murano’s CVT, by integrating false gears into the system, thus meaning the car is much more refined and efficient than if it were paired with a CVT of old. Our only criticism with this transmission, in fact, is that Nissan hasn’t fitted shifter paddles behind the steering wheel for drivers to ‘change gear’ with – other than that, we have no major qualms with the transmission. Though admittedly a lot of money for a non-premium crossover of this ilk, you do get enough to help justify the extra expense. Like we alluded to earlier, Nissan’s stuck itself right in the middle of the mainstream/premium crossover divide with the Murano. 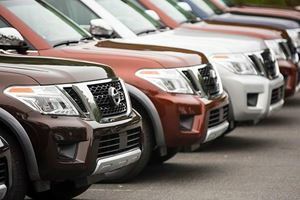 As a result, pricing for the Nissan sits roughly in between the likes of the Dodge Journey and the more upmarket likes of the Volkswagen Touareg, with the Murano range starting off at a smidge over $30,000. Though admittedly a lot of money for a non-premium crossover of this ilk, you do get enough to help justify the extra expense. On top of the excellent cabin quality, all Nissan Muranos get alloy wheels, cruise control, dual-zone climate control, hill start assist, HD radio, a reversing camera and a full complement of front, side and curtain airbag arrangement that even consists of an airbag for the driver’s knees. Go up a trim from ‘S’ to ‘SV’, and you’ll find yourself with a larger infotainment screen with a very good built-in navigation system, power-adjustable front seats, additional leather trimming on the steering wheel and fog lights and a climate control system that can heat up or cool down the interior of the Nissan Murano before you’ve got in the car. Considering this puts the car more on par with more expensive rivals spec-wise whilst still undercutting them on price, we feel it’s worth considering the extra $3,000 this trim will add to the Nissan Murano’s price if your budget stretches that far. For the true premium treatment, though, the ‘SL’ specification will be more up your alley, thanks to the leather-upholstery, heated front seats, blind spot warning and Bose premium sound system that this trim adds over the SV. 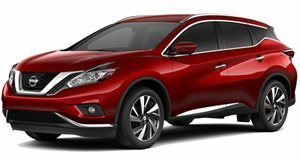 With a starting price of $37,000, though, the Nissan Murano does get rather pricey at this point – though it’s worth pointing out that, if it’s the higher-end cars in this class your’re looking at, the Nissan does still just undercut many of the premium crossover’s starting MSRPs. 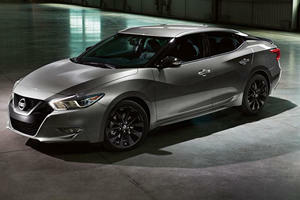 Choosing whether to recommend the Nissan Murano over its peers is a hard one. On the one hand, it has the value-for-money proposition for premium crossover buyers; on the other, the Nissan badge doesn’t have that much high-end clout, and the middle-of-the-road pricing does mean some excellent mainstream crossovers like the Ford Edge can be bought for considerably less money. That hokey cokey pricing does allow the Nissan Murano to give the more upmarket alternatives something to worry about. Yes, the Nissan does falter in some areas in comparison, but that lower asking price does give the Murano a very crucial edge in this regard (especially when you consider the Nissan’s strong residual values). Overall, we probably would hesitate on recommending you spend $30,000 on a base Murano over a well-equipped mainstream alternative. But we’d still advise you give the Nissan a fair chance to win you over – especially if you’re eyeing up the more expensive cars in this class. And you may be able to score a great deal. No one wanted them, so no one really bought them.